The 2019 Volkswagen Jetta comes new and improved for 2019, meaning that Rockville Centre drivers can look forward to an all-new color scheme too. The new Jetta has a wide variety of color options for Lynbrook, whether you to convey fun and playful, classically elegant, or somewhere in between. 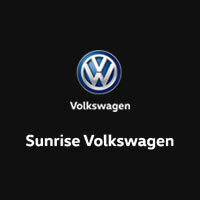 Check out your options at Sunrise Volkswagen! For more information on the Volkswagen Jetta and its many color options, stop by Sunrise Volkswagen! We have a variety of Volkswagen accessories to choose from as well as a dedicated service team, here to ensure that you get only the finest OEM parts for your Jetta. Stop by our dealership to check out our inventory of new Volkswagen Jetta models and learn more about the Jetta vs. Toyota Corolla. Contact us with any questions!